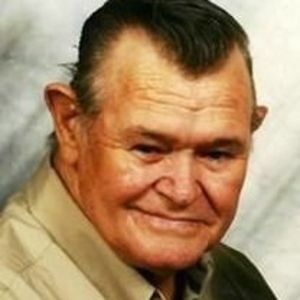 James “Jimmy” Reason, age 72, of Rocky Mount, passed away on December 14, 2015. He was born November 8, 1943 to Marvin and Ruby Reason in Wilson County, NC. James married Carolyn Owens in June 1962 and remained a devoted husband, father, grandfather, and great-grandfather for the rest of his days. In addition to his parents, he was preceded in death by his oldest brother, Glen Reason and his granddaughter, Caroline Rose Proctor. He is survived by his wife, Carolyn; his daughters, Debra (Mike) and Marilyn (Stacey); grandchildren, Gwen (Channing) and David; and great-grandchildren, Hailey Rheanna and Zay; brothers, Ronnie (Marsha), Ricky (Peanut) and Larry; as well as numerous nieces and nephews. A visitation will be held on Wednesday, December 16, 2015 from 6:00 PM until 7:00 PM in the chapel at Johnson Funerals and Cremations, 661 English Road, Rocky Mount, NC. A funeral service will be held at 7:00 PM on December 16, 2015 in the chapel at the funeral home. A graveside committal service will be held at 11:00 AM on December 17, 2015 at Pineview Cemetery.